The Unlucky Hunter: First Annual June Four-Fish Fiesta! 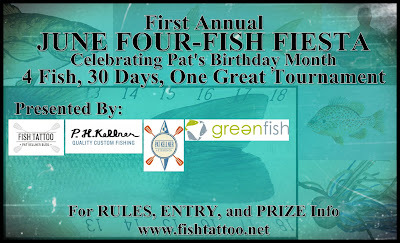 An exciting online fishing tournament is getting ready to start over at Fish Tattoo! The longest total of two Black Bass, one Sunfish, and one Catfish is the grand winner. There are also subcategories for the longest of each type of fish. This is a CPR tournament, so it looks like anyone can enter. The prizes are sweet and best of all, It is free to enter! 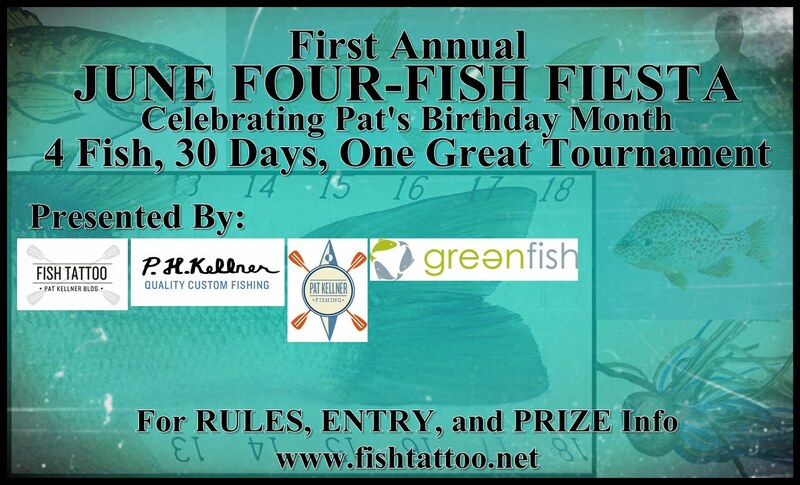 Head over to Fish Tattoo to check it out!